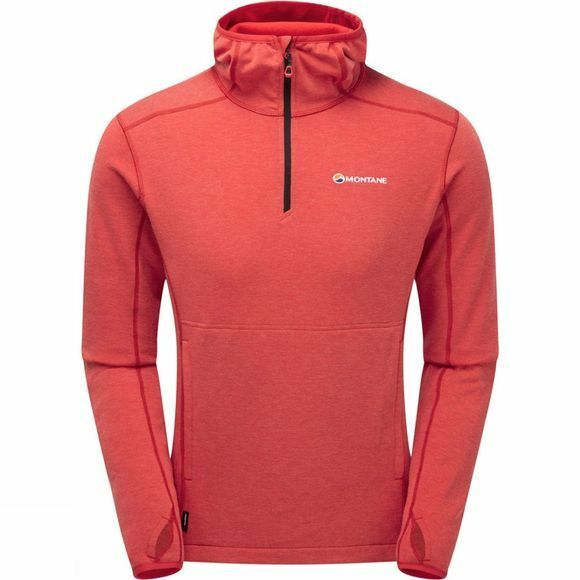 The Mens Venom Hoodie from Montane is a lightweight, versatile fleece hoodie designed to let you be able to push yourself with whatever adventure you may be on. Made from Polartec Thermal Pro technologies, it is quick-drying, warm and offers high flexibility and stretch. Wear it with a waterproof outer layer if the weather is bad or stand-alone if the weather is milder. With articulated arms, it can keep up with you and the pre-elasticated and snug hood, it offers a close fit and can be worn under a helmet.